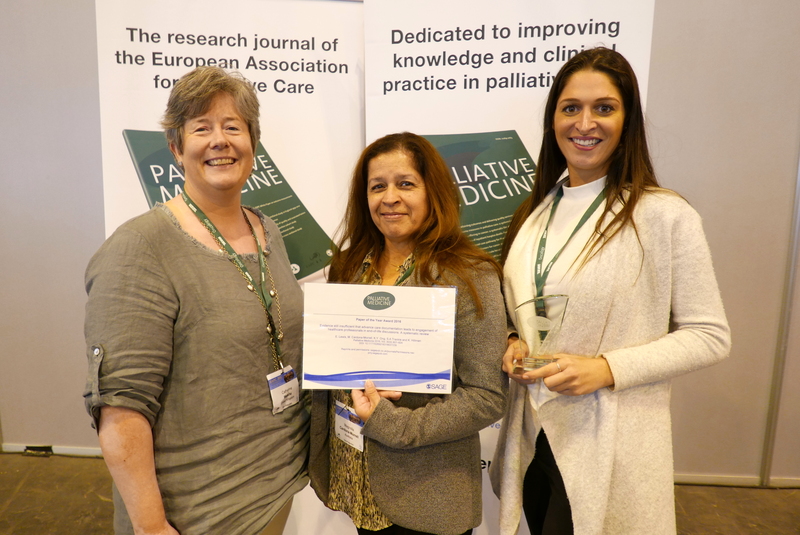 Pictured at the Palliative Medicine stand at the EAPC World Congress in Madrid, 18 to 20 May 2017, (left to right): Catherine Walshe (journal editor), Magnolia Cardona-Morrell and Ebony Lewis. With the explosion of advancing medical technology, clinicians now have the power to identify, treat and, in some instances, cure conditions previously thought to be irreversible. Hospitals can now keep our older frail patients alive for longer when coming to a natural end of their life. Many older people will die in hospital enduring procedures, surrounded by machines, rather than at home surrounded by their family. Contributing factors include late recognition of the dying trajectory, uncertainty about the time until death, fear of litigation, family pressures to keep treating, and the culture of heroic medicine. This is prevalent worldwide, with a recent review of ten countries finding that more than a third of older people near the end of life are subjected to non-beneficial treatments instead of being allowed dignified deaths. Why is this still happening? One reason is that patients have not discussed preferences with their family; another is the absence of honest conversation between the clinician, the patient and caregivers. Additionally, the clinician may not be aware of the patient’s treatment plan, values, goals and wishes at the time of an emergency hospitalisation. End-of-life conversations and advance care planning are happening too late in the dying trajectory, prolonging patient suffering. When possible, people should be given the right to express their values and preferences for what they consider acceptable or unacceptable management. Stating patient’s end-of-life preferences in the form of an advance care directive (ACD), sometimes referred to as a living will, was proposed as early as the 1960s.1 Engaging the public and promoting the benefits of expressing end-of-life wishes in the form of written documentation remains a challenge. Even more challenging, and a pending question, is: does a person’s ACD help clinicians engage in honest end-of-life discussions before a crisis? It is commonly known that these conversations can often be difficult for clinicians. 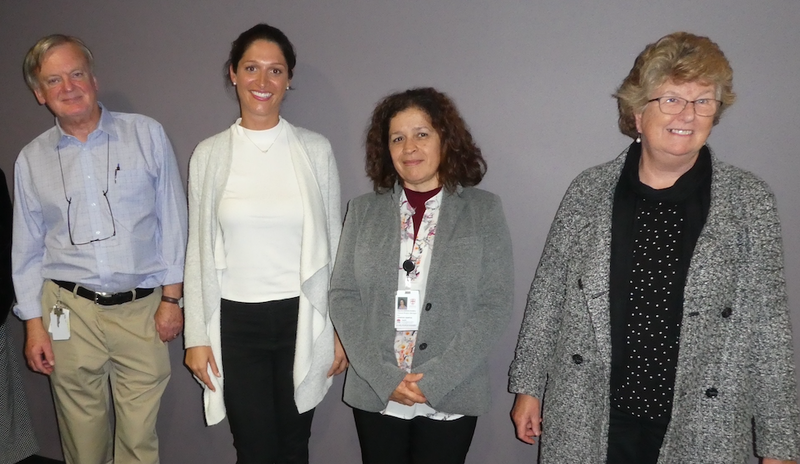 Simpson Centre for Health Services Research Team (left to right: Ken Hillman, Ebony Lewis, Magnolia Cardona-Morrell and Margaret Williamson). Accordingly, we at The Simpson Centre aimed to determine whether presenting clinicians with written documentation helps engage them to have honest end-of-life conversations with older patients and their caregivers. Our review included nearly 24,000 subjects from 10 countries. Despite an absence of high-level evidence or quantitative study designs, we found that the majority of clinicians were supportive of ACDs in principle. However, this could only be assessed via their beliefs, perceptions and attitudes. It still remains unknown whether having an ACD improves clinicians’ confidence and engagement in timely end-of-life conversations. Reasons why could include the low uptake of ACDs; clinicians being unaware that an ACD had been formalised and ACDs being inaccessible at time of admission. Insufficient evidence of clinicians’ engagement in timely end-of-life discussions after seeing the ACD does not mean that advance care planning and the formalisation of an ACD does not work. It is promising that clinicians anticipate its benefits but there needs to be more discussion and debate on the effectiveness of ACDs in engaging clinicians in timely conversations. There is also a need for more living wills to be available before we know whether they actually trigger those important discussions. Glick HR. The right-to-die: State policymaking and the elderly. Journal of Aging Studies. 1991;5 (3): 283-307. This post relates to a longer article, ‘Evidence still insufficient that advance care documentation leads to engagement of healthcare professionals in end-of-life discussions: A systematic review’, by E. Lewis, M. Cardona-Morrell, K.Y. Ong, S.A Trankle and K. Hillman, published in Palliative Medicine 2016, Vol. 30 (9) 807–824. DOI: 10.1177/0269216316637239). Download a PDF of the full article from the EAPC website. This entry was posted in 15th World Congress Madrid, EAPC-LINKED JOURNALS, Palliative Medicine: Editor's Choice and tagged Palliative Medicine Paper of the Year Award. Bookmark the permalink. Excellent article. Doctors across the world should read it.